You like our Shaker and would like to have another ? The BERTRAND-Shaker's BPA-and Phthlalate-free plastic offers superior durability and clarity, without sacrificing safety. And thanks to odor-resistant technology, you’ll enjoy today’s smoothie without tasting last week’s BERTRAND shake. The patented BlenderBall wire whisk is the secret behind the ProStak’s power. Add your ingredients, drop in the BlenderBall, and shake. The BlenderBall whips around inside the bottle, mixing your drinks to a smooth consistency, every time. Made of 316 surgical-grade stainless steel, the BlenderBall is designed to remain in the bottle until you’ve enjoyed its contents. Just drinking water? Feel free to leave the ball inside – it’ll never rust, chip, or peel. 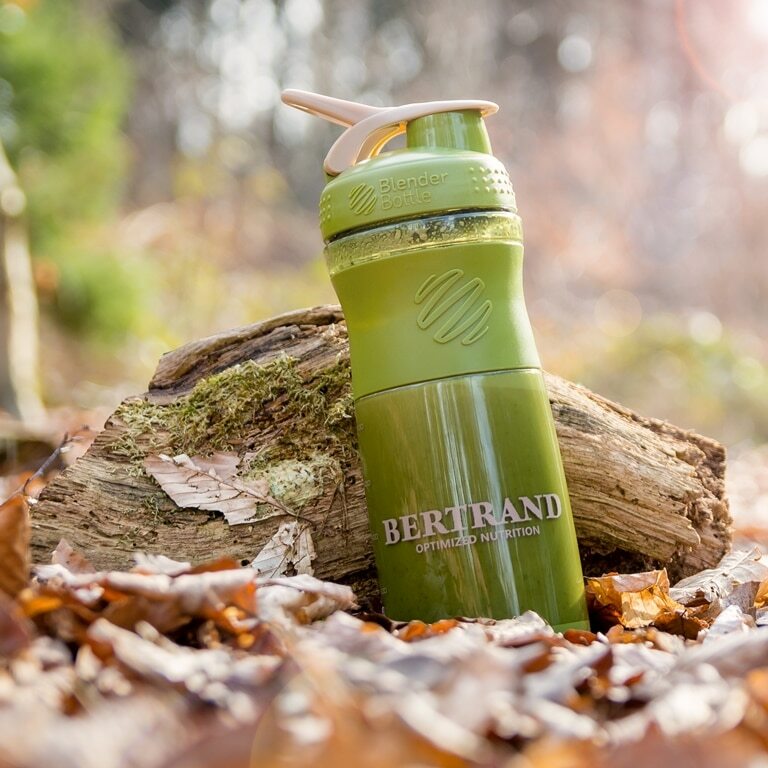 The BERTRAND-Shaker’s BPA-and Phthlalate-free plastic offers superior durability and clarity, without sacrificing safety. And thanks to odor-resistant technology, you’ll enjoy today’s smoothie without tasting last week’s BERTRAND shake.